Jeremy Bolvin was convicted twice. 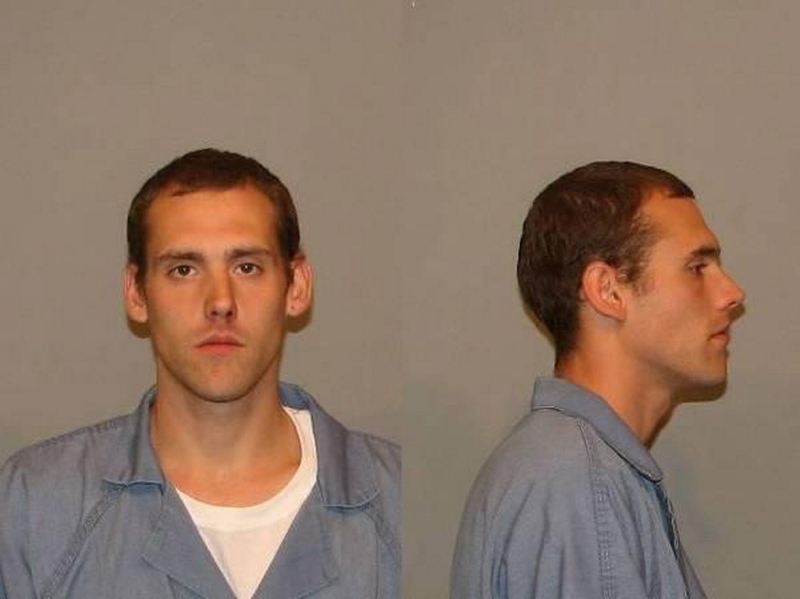 Jeremy Bolvin, a 27-year-old North Tonawanda man who was twice convicted of brutally beating babies, was released from state prison Monday after serving about two years and six months for the latest attack. Bolvin’s release came 20 months after the state Parole Board refused his request for an early release, calling him a danger to society. “Your actions resulted in your two-month-old son receiving multiple fractures and a permanent seizure disorder,” the parole board wrote in an August 2012 decision. In 2007, Bolvin was convicted of third-degree assault for beating and breaking the arm of his six-month-old son. In 2011, he was convicted of assault and attempted assault, this time for beating another infant son, causing 11 fractures and brain damage. “When you have a perpetrator like Jeremy who will do this to his own children, he’ll do this to anyone’s kids,” said Kevin Retzer, of Sloan, whose great-nephew, Jay-J Bolvin, was the infant whose beating led to Bolvin’s second conviction. Retzer said he was especially upset because no one notified his family that Bolvin’s release was pending until Friday, when they got a letter from the Niagara County District Attorney’s Office. “We would have done everything we could to stop it, if we had more time,” Retzer said, and Dunkelberger concurred. Officials of the state Corrections Department said Bolvin’s release – after serving two-thirds of his maximum 4-year prison term – was dictated by law and routine for prisoners who are credited with good behavior. Under state law governing prisoners who are given an “indeterminate” prison sentence, a prisoner who has served two-thirds of his or her maximum prison term must be released if their behavior in the prison system has been good, Vogt said. Such releases are standard procedure and routine within New York’s prison system, she said. State Sen. Tim Kennedy, D-Buffalo, said cases such as Bolvin’s should not be handled as routine. “He was convicted of assaulting and injuring his infant son after already being convicted of doing the same thing to his other infant son,” Kennedy said. Kennedy said he asked State Corrections Commissioner Anthony J. Annucci if Bolvin’s release can be revoked. That does not appear to be possible, Kennedy said. “We’re going to have to figure out what we can do legislatively to stop this from ever happening again,” he said. Efforts to reach Bolvin and his family in North Tonawanda were unsuccessful. A News reporter left a telephone message at the home of Bolvin’s father, but no return call was made. If Kennedy does push for legislation to require child abusers such as Bolvin to serve their entire maximum prison terms, it would be the second time that legislation was inspired by the Jay-J Bolvin beating. Last July, Gov. Andrew M. Cuomo signed “Jay-J’s Law,” which Kennedy proposed. The law strengthened sentencing provisions for repeat child abusers. Before “Jay-J’s Law,” a sentencing judge could only consider previous convictions going back three years. Now, a defendant’s previous child-abuse convictions going back 10 years can be considered by the judge. Daniel E. Brick, the attorney who represented Bolvin in the 2011 case, called the situation “a tragedy.” He said he understands why people close to the two boys who were beaten are upset. “Jeremy’s natural parents were drug addicts. His adoptive parents did their best to raise him. He had a lot of issues and a very tough childhood,” Brick said. According to state officials, Bolvin will be required to take part in domestic-abuse treatment programs, have no contact with anyone under 18 without permission of the parole officer, be under a curfew and not be allowed to consume alcohol.